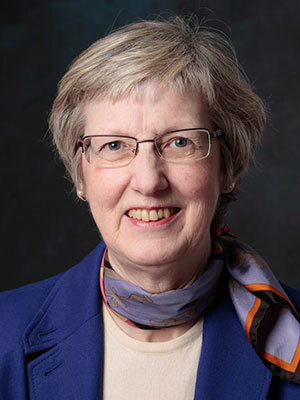 Dr. Shirley Beresford is Professor of Epidemiology, with additional appointments in Health Services and in Nutritional Sciences and is also Full Member in the Public Health Sciences division at the Fred Hutchinson Cancer Research Center. She is Senior Associate Dean in the School of Public Health, and is an elected member of the Washington State Academy of Sciences and a member of their Board of Directors. Dr. Beresford has more than forty years of experience in socio-medical and epidemiological research. Her passion for methodological rigor, commitment to public health and keen interest in working with colleagues to identify new or adapt existing methodologies to improve inference in critical issues in public health have defined her career. She is well known for her leadership role in the Women’s Health Initiative, particularly of the Dietary Modification Advisory Committee and of the WHI Seattle Clinical Center. She remains active in that study as part of the Publications and Presentations Committee and of the Clinical Coordinating Center. For more than 25 years, Dr. Beresford has worked actively in the area of health effects of folic acid, which has had significant impact. She acted as consultant to the CDC, to the Spina Bifida Association of America and as advisor to the Food and Drug Administration during the period leading up to the mandatory fortification of enriched flour and grain products with synthetic folic acid. She has made many significant contributions to population health in studies directed at understanding patterns of health determinants and in interventions that reduce disparities in health outcomes. Dr. Beresford has directed five different worksite randomized trials of community and individual interventions to improve dietary choices and reduce obesity, especially among blue collar worksites. Dr. Beresford's work in socioeconomic disparities in obesity has contributed to her strong reputation in complex study design and applied analytic methods, e.g. in studies in collaboration with Latinas and with members of the Navajo Nation. She has published more than 200 articles on chronic disease with nutritional, behavioral or socio-behavioral areas of focus. Dr. Beresford's research interests are in the areas of nutritional epidemiology and chronic disease prevention. Her work is specifically designed to improve the scientific basis for public health policy and recommendations concerning dietary intake, physical activity and intake of folic acid levels. She has been Principal Investigator on numerous individual and group randomized trials of dietary behavior intervention. Dr. Beresford has been an investigator with the Women's Health Initiative since its inception, contributing to the intervention design in the Dietary Modification trial, and is lead author of one of the primary results papers of the randomized trial, namely the low fat dietary pattern and risk of colorectal cancer. She was a member of the Committee on Identifying and Assessing Unintended Effects of Genetically Engineered Foods on Human Health, National Academy of Sciences, 2002 2004, and an invited speaker at the Institute of Medicine's workshop on Managing Food-related Risks in 2005. She served as President of the American Epidemiological Society from 2007 to 2008. In 2015, she was elected to the Washington State Academy of Sciences. Her research focus in the science of changing behavior on a population level has involved many interdisciplinary collaborations. The development and evaluation of obesity prevention interventions in worksites, using rigorous group randomized trial design and collaborative principles with participating worksites, provides one such example. She remains active in worksite based health promotion research, in methodological studies related to nutrition and physical activity assessment, and has NCI funding in health disparities research in cancer population based studies, including working with Latinas and Native Americans. Dr. Beresford founded and now co-teaches the course EPI 538/NUTR 538, "Nutritional Epidemiology" currently offered in Autumn quarter. She co-authored the book chapter entitled Nutritional Epidemiology in a series in Public Health Nutrition.